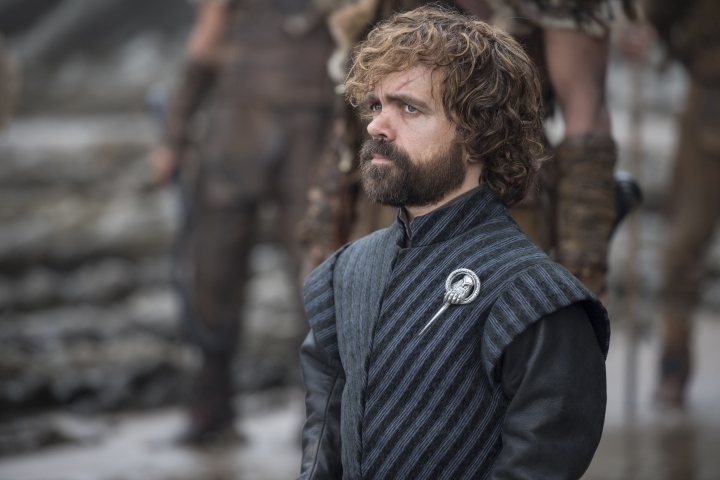 "Game of Thrones" earns a leading 22 Emmy Award nominations, including for best drama series. 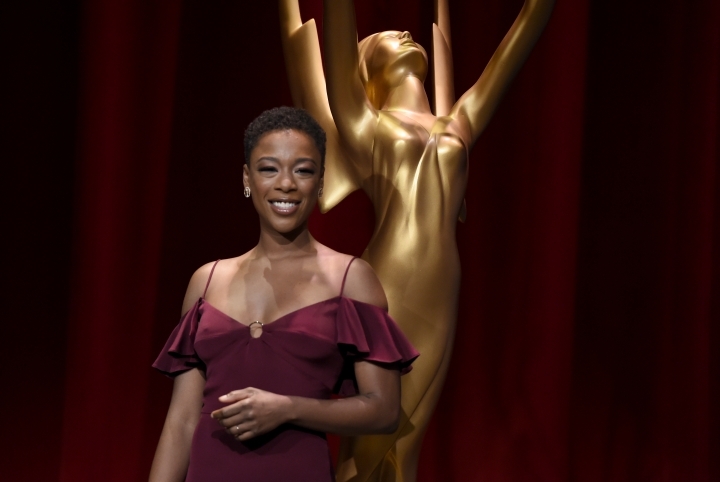 LOS ANGELES — When Netflix snapped HBO's 17-year streak as Emmy nominations leader, more than bragging rights switched hands. It represented the breathtaking change in how audiences get and watch TV and the threat to traditional TV networks from streaming services. Especially one like Netflix, whose multibillion-dollar investment in programming allowed it to rocket Thursday to 112 nominations just five years after launching its first original series, "House of Cards." That's double the total of nods it earned in 2016 and just ahead of HBO's 108 nods (down two from 2017). Another streamed series, Hulu's "The Handmaid's Tale," earned 20 nominations and a chance to defend its title as best drama series at the 70th Primetime Emmy ceremony airing Sept. 17 on NBC. HBO still boasts the year's most-nominated series, "Game of Thrones" (22 nods) and "Westworld" (20), while Netflix fielded "The Crown" (13 nods) and "Stranger Things (12). "The more distribution platforms, the more content's getting created, the more people are going to be working. ... It's good news for us in the industry," said Maury McIntyre, TV academy president. It's also good news for viewers, he said, who will "always be able to find something they're going to like." "It all about niche broadcasting now. You can make a show and find an audience. It may not be a core audience, but it can be a hard-core audience," he said. Ted Sarandos, Netflix's chief content officer, saluted "our creative partners on their unprecedented success today" in a statement noting that the nominations were gained across a wide variety of categories, including scripted, documentary and comedy specials. The short-lived revival of "Roseanne," canceled because of star Roseanne Barr's racist tweet, drew only one major nomination, a supporting actress nod for Laurie Metcalf. Another revival, "Will & Grace," got Emmy love for nominees Megan Mullally and Molly Shannon but the main stars and series itself were snubbed. 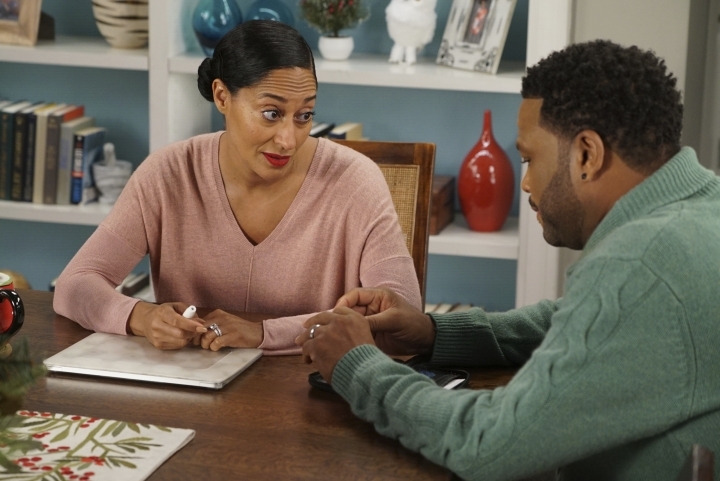 In the drama and comedies series categories, NBC drama "This Is Us" and ABC sitcom "black-ish" are the sole network contenders. NBC topped the broadcast tally with 78 nominations, fueled by 21 bids for "Saturday Night Live," still on a satiric tear against the Trump administration. Donald Glover's "Atlanta" was the top comedy series nominee with 16 bids, poised to take advantage of the absence this time around of three-time winner "Veep." ''Atlanta" will face newcomers including "The Marvelous Mrs. Maisel," ''GLOW" and "Barry." Others in the category include "black-ish," ''Silicon Valley," ''Curb Your Enthusiasm" and "Unbreakable Kimmy Schmidt." The newbie comedies aced out long-time Emmy favorite "Modern Family," a five-time winner and perennial nominee since it debuted in 2009 on ABC. 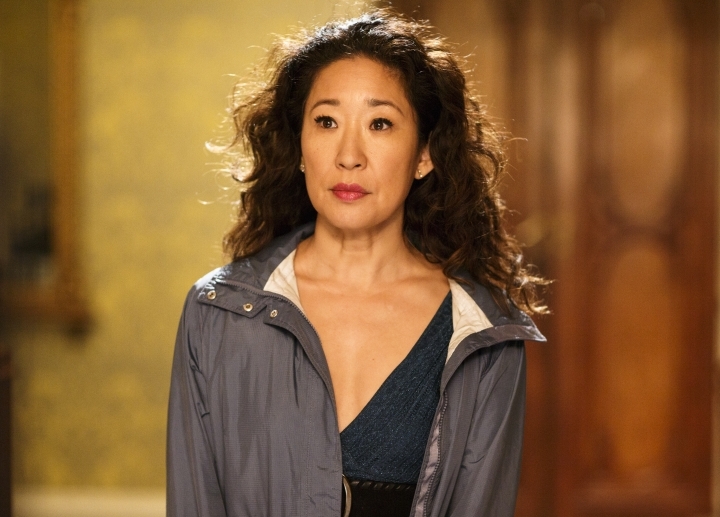 "Killing Eve" star Sandra Oh made as the first actress of Asian descent to be nominated for lead acting honors in a drama series. 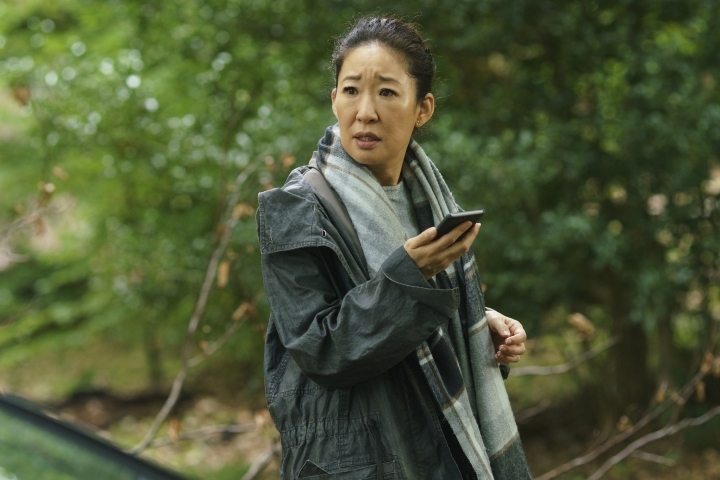 Oh had earned five supporting bids for "Grey's Anatomy." The TV industry has made recent strides toward inclusion, with Glover and Sterling K. Brown of "This Is Us" winning top acting awards last year and both nominated again. Only one nominations category is all-white, and in three categories minority actors account for more than half the nominees. 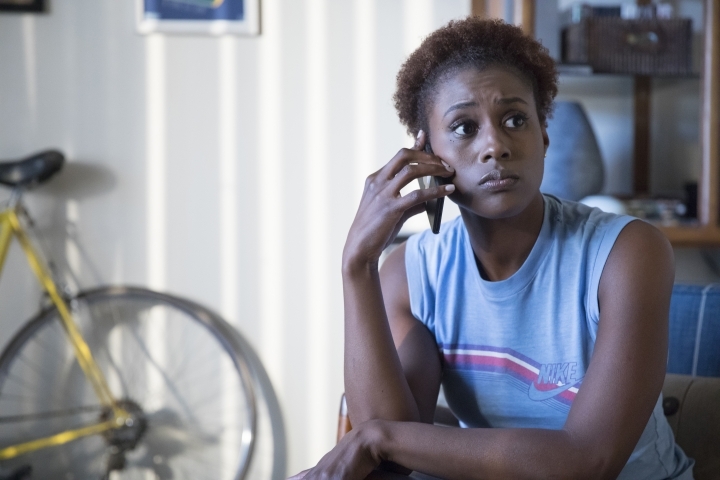 Among the notable first-time nominees: Issa Rae for "Insecure," Darren Criss, Ricky Martin and Penelope Cruz for "The Assassination of Gianni Versace: American Crime Story," Tiffany Haddish for "Saturday Night Live," Letitia Wright for "Black Museum (Black Mirror)" and John Legend for "Jesus Christ Superstar Live in Concert." "The Handmaid's Tale," the dystopian sci-fi series based on Margaret Atwood's novel, drew 20 bids, including one for last year's best actress winner, Elisabeth Moss, and supporting bids for Alexis Bledel, Ann Dowd, Yvonne Strahovski and Joseph Fiennes. Other drama series contenders are "Westworld" and "The Americans," nominated for its final season and with nods for stars Keri Russell and Matthew Rhys. Competing with Moss, Oh and Russell for lead drama actress are Claire Foy for "The Crown," Tatiana Maslany of "Orphan Black" and Evan Rachel Wood of "Westworld." Rhys and Brown will be up against Brown's castmate Milo Ventimiglia, along with Jason Bateman for "Ozark" and Ed Harris and Jeffrey Wright for "Westworld." Brown is also nominated for comedy series guest actor for "Brooklyn Nine-Nine." Glover and Anderson's competitors for best comedy series actor are Ted Danson for "The Good Place," Larry David for "Curb Your Enthusiasm," William H. Macy for "Shameless" and Bill Hader for "Barry."